There’s something about a dive watch that emanates an unassailable image of unabashed cool. Part of this has to do with the total veracity and slavish devotion to function embodied by these timepieces. After all, these were tools that soldiers and civilians alike literally depended on with their very lives. But of all the dive watches ever created, there is one that holds the title of heavyweight champion of cool amid this vast pantheon of ticking demigods. That watch is the Rolex Sea-Dweller. 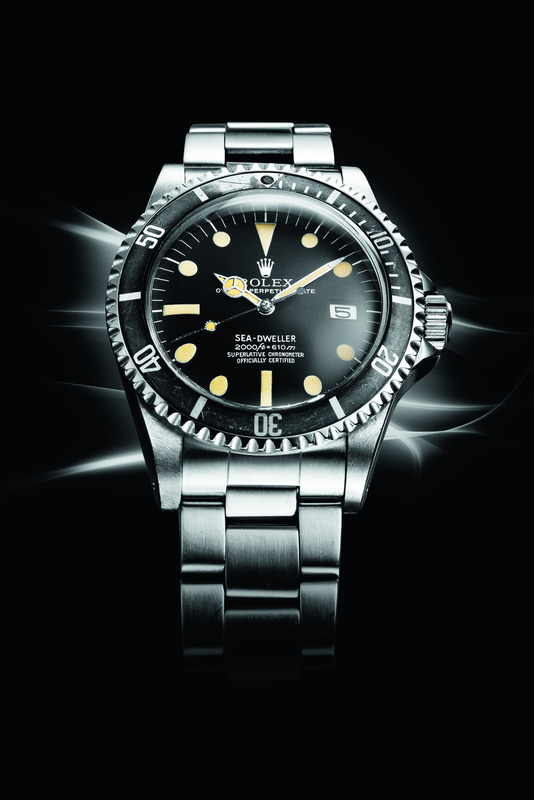 Rolex collaborated with French underwater expedition firm COMEX to develop a method to allow timepieces to resist great pressures via a helium escape valve design. 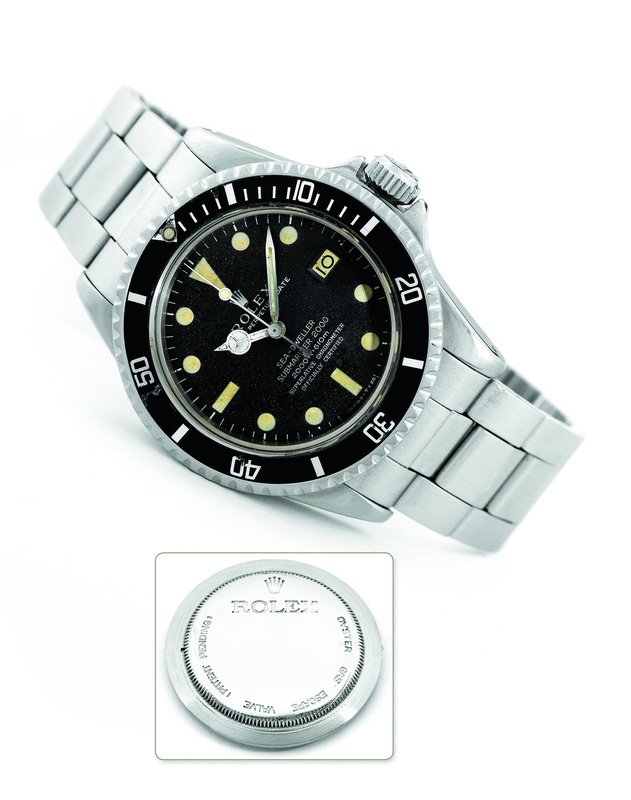 The resulting timepiece is the COMEX Submariner ref. 5513 and 5514. 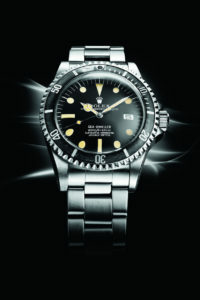 Image courtesy of Antiquorum auctioneers. 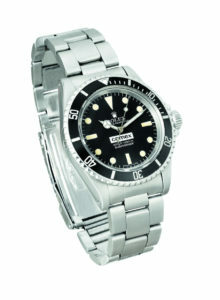 At the time, the Submariner ref. 5513 was rated to 660 feet or 200 metres. So, the idea of tripling this depth rating was an ambitious one. Early experiments involved watches with a new model designation, ref. 1665, and the word “Sea-Dweller” on the dial. 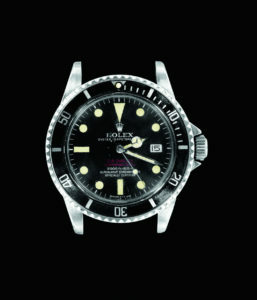 Some of these watches did not feature the helium escape valve (it is believed 30 such watches were created), though many of them failed during saturation dive testing. An examination of the current events of the era might provide the best answer. During NASA’s Project Mercury, the Omega Speedmaster had been selected as the official watch to accompany these astronauts into space. From a communication perspective, it made immense sense for Rolex to make a far-reaching declaration of its total mastery of the other great blue yonder. 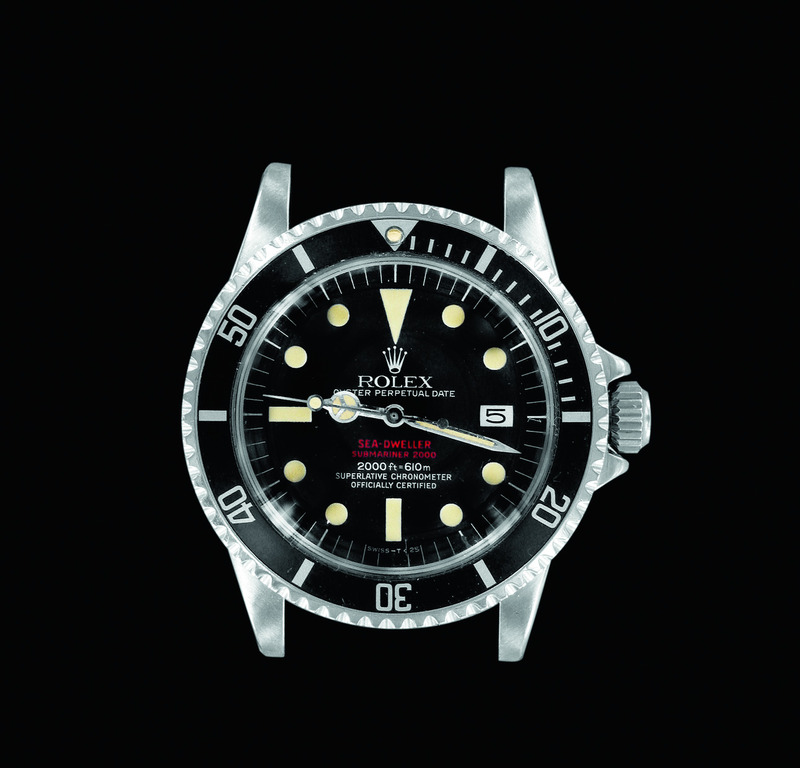 The first Rolex Sea-Dweller that was produced in limited numbers, this is a highly prized model today. Image courtesy of Antiquorum auctioneers. 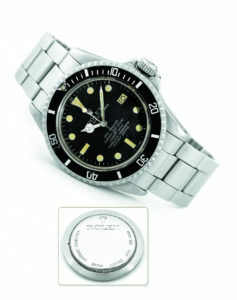 Non “Double Red” dial, the “Great White” as it is known in collector circles.